In this episode of Central Otago NZ - Through Local Eyes hear why Naseby local Jo Dowling thinks that Naseby Forest is a great destination for mountain biking in Central Otago, and why the forest is an important asset for the local community and for visiting mountain bikers. What's it like living in Naseby? Naseby’s only got a population of 100, but it goes to 2000 over Christmas. So a lot of the homes here are holiday homes, mainly people from Dunedin. 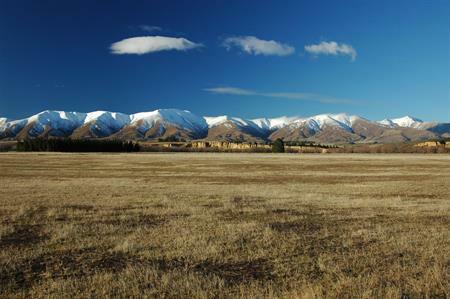 Overall the Naseby and wider Maniototo community is great as everyone is very community minded, there are always lots of projects on the go – currently there’s talk of a night sky observatory, a summer luge and we have the Indoor Curling Rink which was developed and fundraised for by the local community. What is there to do in Naseby? Naseby is an old heritage town; we’ve got two pubs, a café, a range of small accommodation providers, a camping ground, holiday homes, the Naseby Lodge & Restaurant, an International Curling Rink, a luge track and an outdoor ice skating rink. There's options for exploring the heritage on foot, by bike, or four wheel drive. The Naseby Forest Recreation area is one of our best assets and in summertime the forest and Naseby just thrives, it turns into a really busy little place. You’ve got mountain bikers, walkers, kids, families and dogs, and the swimming dam get packed. What does Naseby forest have to offer for mountain bikers? It’s a pretty unique little place, I think our tracks are great, they’re mainly singletrack, with a few 4wd trails and it’s not overrun with riders. The trails never get really muddy, as everything dries out quickly – we have some weather extremes though, it's either freezing cold in the winter, or really warm in the summer time. There is approximately 52km of trails in the forest and 80% of them would be singletrack. The gold mining history is visible all through the forest; especially where the old mining claims, and water races have now been incorporated into the trails. It’s a real beautiful place to be, it doesn’t matter what the weather is doing it can be blowing a howling gale but you’ll be sheltered in the forest, sometimes Ernslaw One need to shut the forest due to high fire risk, but if they do there’s a section called the Sand Pit near the curling rink which is always open. How does Ernslaw One support the forest? Naseby Forest is a working forest, so Earnslw One are great at letting us build tracks, obviously they need to log sections now and then and we lose some tracks, but once they’re replanted we get a chance to build new tracks or redevelop the old ones. We've now got a Mountain Biking Naseby trust, which is in the process of putting up new signs and grades of tracks across the forest. Ernslaw One have been really helpful with getting this going. 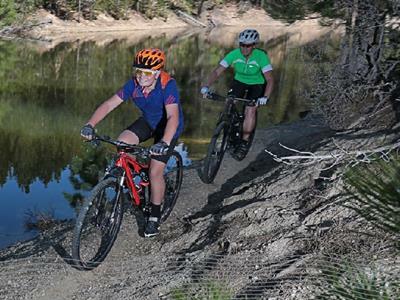 What’s the Naseby Forest like for riding with your family? My daughter has just turned 10 and she enjoy just doing the water race tracks, but it has suitable tracks for all ages and skills. My son loves the tricky stuff, finding the downhill lines - he gets a good buzz out of them. We’ve even go for a family rides and take a picnic out to the Coalpit Dam, you can even have a swim in some of the dams. Personally I like the tricky bits, and just keep going until I get them, quite often I fall off, but get back ad on and have another go. I have even got a track named after me, because I had a really bad crash and popped my AC joint – it’s called Jo’s drop thanks to Kila. 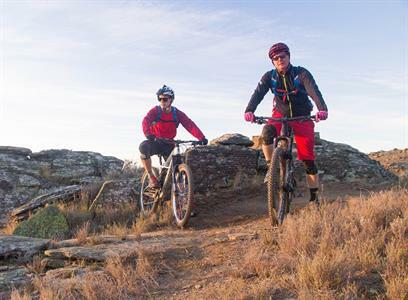 Do you do have any local mountain biking events in Naseby? We have the Naseby 12hr race every year organised by Mountain Biking Otago; our family always puts in a team and we’ve won it twice. It’s a great day out. Naseby has also hosted the Otago Cross-Country champs in the forest, and there has been a 6hr before too, with potential for more. There are a range of non-biking events too which is great for the community, each year there are dog-sledding races in the forest, and the 'Great Naseby Water Race' which is a 100 mile running race. Basically the forest brings people into Naseby. Further afield I also try to do the Rail Trail Duathlon every year which is a fun event. 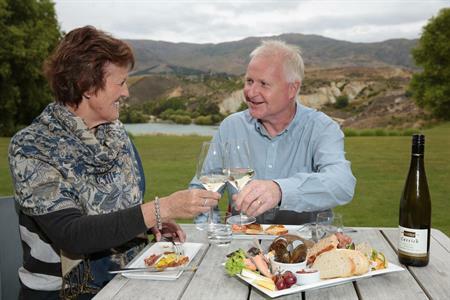 How does Naseby compare to the other options for mountain biking in Central Otago? Naseby’s pretty different to most of Central as your sheltered by the trees, and the history that lies around all tracks in the forest. Which is quite different to riding in Alexandra and on the Otago Central Rail Trail where you’re in the wide open spaces with big expansive vistas. There are also some great options close to Naseby for backcountry rides in the mountains like in the Oteake Conservation area, where you can stay in the backcountry huts – which makes for a great adventure if you’re into some hard hill climbs and bigger days. I’ve down a few different races and tracks over the last few years across the South Island, but I really enjoy just coming back to Naseby – we’ve just got the variety of trails, and if it’s wet you’ve got slippery roots and rocks, and if it’s dry you don’t need to worry and can just go fast. Why should people come riding in Naseby? The big wide open spaces, you can go for miles in the forest, there’s about 27 different tracks, you often find new ones every time you go out. Plus we’re 2000ft above worry level, come and enjoy it, no better place to be.